SLANG words define our great nation. It's part of what makes Aussies so easy to spot - or hear, rather - when we're on the other side of the world. We abbreviate everything, swear like sailors to show affection, and have this weird habit of going up at the end of our sentences. But time and time again, there are reports our unique way of talking will soon be obliterated by globalisation and outside forces. Believe it or not, Aussie slang has defined us for well over a century. Dr Howard Manns, co-ordinator of the Master of Applied Linguistics at Monash University, told news.com.au that our unique way of speaking dates back to the mid-1800s. "We first found them (slang words) used for 'gummy' (a sheep without teeth) and 'broomie' (someone who sweeps)," he said. "The 'o' (rello, flanno) shortening goes back to at least the mid-19th century, and first appeared as the call the milkman would make (ie. "Milk-Oh! "), and then subsequently came to be used for the person making the call." Today, this remains an expression of identity - and we save valuable seconds by shortening everything. "What are your plans for this afternoon?" becomes "S'carn on s'arvo?" You don't eat a chicken parmigiana - it's a "parmy" - or "parma". Depending on the state you live in, you might say togs or cozzies. Sizzles or snags. Pashing or macking. It's not English. It's 'Strayan. Is this beloved dish a “parmy” or a “parma”? Getting it wrong can get you in serious trouble. Furious debates periodically break out on social media over the right way to say things. 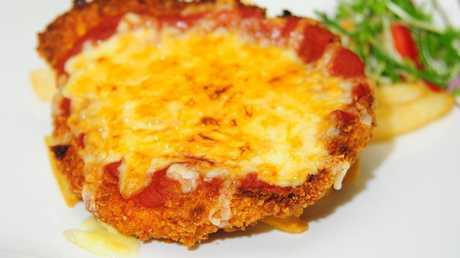 Last month, Victorian Premier Daniel Andrews polled 32,700 Australians to determine whether "parmy" or "parma" was the correct shorthand term for the delicious chicken parmigiana. Twitter users regularly battle it out over whether you drink from a "drinking fountain" or a "bubbler", eat "scallops" or "potato cakes", and say "bottle-o" or "bottle shop". A new article in the Wall Street Journal argues that our endearing vernacular could very well be on the way out." 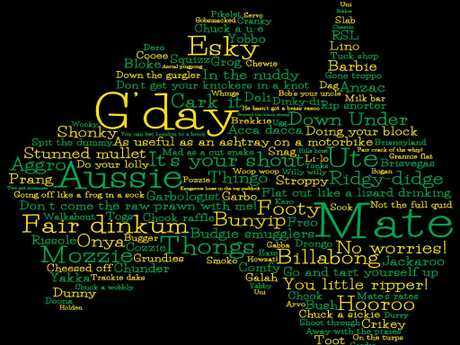 Australians fear their slang could be disappearing in an increasingly connected world," it says. The argument is that Australian slang may be falling victim to an increase in university educations, globalisation and the loss of some traditions. A few years ago, lexicographer and editor of the Dictionary of Contemporary Slang Tony Thorne likewise described a "quiet phase" in Australian slang. "There's a trend where most new terms are now coming from the UK and US," he told The Guardian. Last year, Four'N Twenty launched a "Save our Slang" campaign, calling on Australians to submit their favourite Aussie expressions "to help Save our Slang". But thankfully, not everyone agrees. IS AUSSIE SLANG REALLY ON THE WAY OUT? Here's the good news: Aussie slang ain't goin' anywhere. Dr Manns said that while our slang is always evolving and changing, we won't be seeing the last of it any time soon. "You can argue in a general sense that there are some global and social forces impacting Australian slang," he told news.com.au. "But I'm yet to see that to an impacting degree. "Yes, globalisation is taking place, and with these global forces we're seeing American TV and American culture spreading into Australia. "But there's counterarguments to that. We've been complaining about the Americanisation of Australian English since the arrival of the talkies, and now it's actually going the other way. 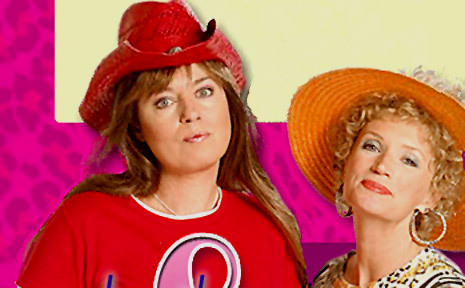 "All these brilliant Aussie slang words have come in since the turn of the 21st century." Hey Kim Kardashian, you can thank Aussies for the word ‘selfie’. Take the word "selfie". It's one of the most widely-used terms in the world, with The Oxford Dictionaries deeming it the Word of the Year in 2013. And - fun fact! - it actually originated in Australia in 2002. Dr Manns says technology can play a crucial part in the rise and fall of certain verbal trends. "Words come in and out of fashion because from time to time they encapsulate a generation, and represented the technology that emerged from that generation," he explained. Some might also think that immigration is killing our slang, because migrants - not having grown up with phrases like "fair dinkum" and "chuck a U-ey" - would be less likely to adopt them. But Dr Manns believes immigration is actually broadening our use of slang. He himself is from Pennsylvania in the US, and has been living in Australia for the past decade. He recalled a time he received a text from a friend, saying they would meet up for coffee that arvo. "I ended up walking up and down the pier, looking for the 'Arvo Cafe'," he said with a laugh. "First-generation Australians will indulge in as much slang as they can get away with, but there's other words I won't use because it doesn't quite feel right. But by the second generation, it totally changes." In other instances, he said words and phrases can be adopted interculturally. "Take words like 'habibi', or 'yallah' - you actually see these terms being adopted by Anglo-Australians." Don’t worry. Our beloved slang terms aren’t going anywhere. The WSJ article also argued education plays a part - which it can, but not in the way you might think. "You'd expect with rising education levels that perhaps people might be using non-standard English a little bit less. But realistically, also, we sometimes forget how dynamic we are as speakers," said Dr Manns. 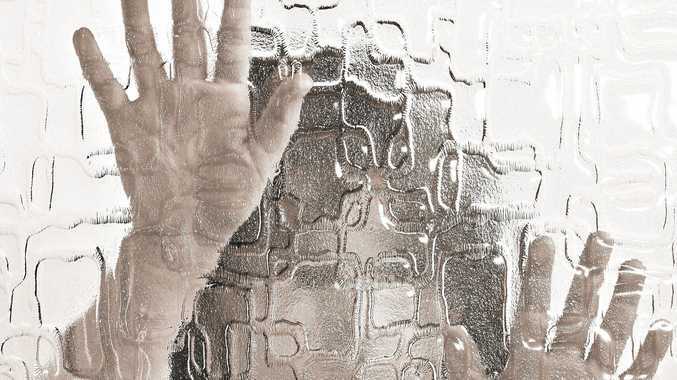 "If you grow up speaking a non-standard variety of English, and you learn a more standard variety at university, you don't automatically lose your non-standard way of speaking. "We speak differently depending on who we're talking to and the setting in which we're talking to them." In other words, the words we choose to use, and even the accent we use when saying them, can subconsciously change depending on who we're speaking to. If you were going for a white-collar job interview, you'd probably use standard, formal English, while you might be more likely to drop a "s'arvo" or a friendly C-bomb if you were with your mates at the pub. Either way, rest assured: while the "Australian-isms" you use today may not be in vogue in 20 years, our unique way of speaking isn't going to die out in a hurry. And that's a bloody beauuuuudy.